Enjoy the same remarkably clear, Polycom SoundStation, conference phone experience in a smaller form that’s optimized for executive offices and small conference room usability. The Polycom SoundStation IP 5000 delivers Polycom HD Voice technology, broad SIP interoperability, and modern design -- all at an affordable price. Enjoy the same remarkably clear, Polycom SoundStation, conference phone experience in a smaller form that’s optimized for executive offices and small conference room usability. The Polycom SoundStation IP 5000 delivers Polycom HD Voice technology, broad SIP interoperability, and modern design -- all at an affordable price. 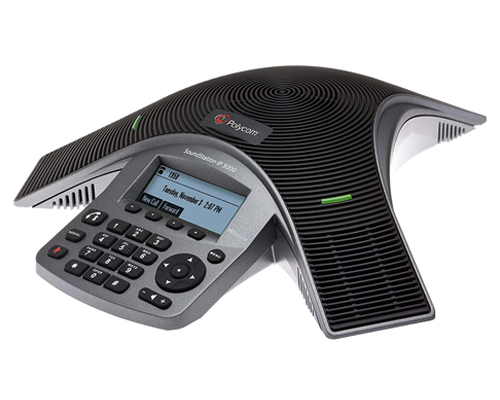 The Polycom SoundStation IP 5000 boosts productivity and reduces listener fatigue by turning ordinary conference calls into crystal-clear, interactive conversations through an IP conference phone that sound as natural as being there.